Samsung, are you ashamed? I hope you are. 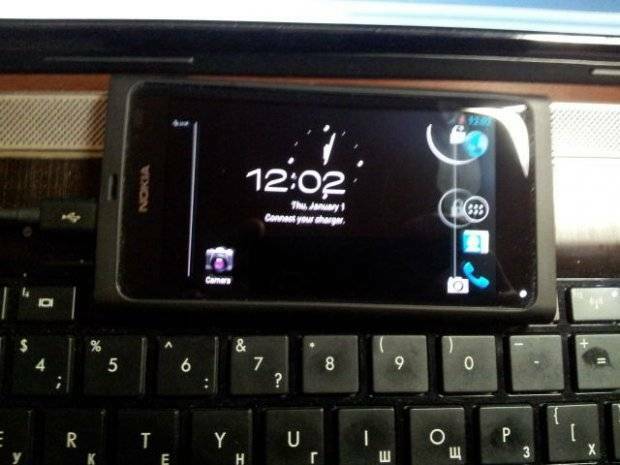 When hackers can get Android ICS going on a Nokia before they release it on their own hardware it’s a sad state of affairs. I know, I’m being slightly facetious. This post is somewhat tongue-in-cheek. Obviously this N9 ICS port is not something that you can use in everyday life, it’s more a proof of concept. However, one has to wonder – how long have Samsung had access to the code base for Android 4.0? How long can it take them to roll out upgrades to their users? The project, which is still in its early stages, made significant progress after recently overcoming a framebuffer driver/HAL hurdle, allowing ICS to be displayed on the phone. I really do think that the next device I get will likely be of the Nexus series. Knowing that I would have a stock version of Android and that I’d get updates when they upon release would be a comfort. None of this waiting around wondering when you might get an update. According to Android Spin, the Samsung Galaxy S2 and Galaxy Note are looking likely for an update on March 1st. Not from an official channel, but from Eldar Murtazin. Who, coincidentally enough, seems to know what is going on most of the time. According to him, the Galaxy Note and Galaxy S2 should be picking up an Ice Cream Sandwich update on March 1st. Of course there’s the issue of carriers doing things in their own sweet time, but I’m hoping I’ll at least be immune to that as I bought my SGS2 off contract in Cambodia. This is no doubt going to be aimed at the international unlock versions first as usual. Don’t expect your stateside version to see it for a while after March. All that said, this release date hint is not from an official channel, so it might not happen then. I don’t see why Samsung won’t just give us an official statement as to their expected release dates. Granted, the masses probably don’t care, but the early adopters and tech nerds do. And those tech nerds are the ones asked by family members and friends for advice as to which phone they should buy. The long, long delays in any sort of official updates for the Motorola Milestone left me unlikely to recommend anyone to get a Motorola device. So Samsung, listen up, keep the tech nerds happy and you’ll definitely get an knock-on effect. In my own personal case, my ownership of a Samsung Galaxy S2 has resulted in at least 3 other people purchasing from Samsung, one of whom was a long-time Nokia die-hard.